Tractor pulling is a popular motor sporting event that is big in the United States and all over the world. A lot of people come out to watch these heavy duty tractor machines as they compete pulling heavy loads of material items. Many tractor pulling events take place in late spring and summer and fall seasons. The following material will list some of the main tractor sport events taking place in 2016. 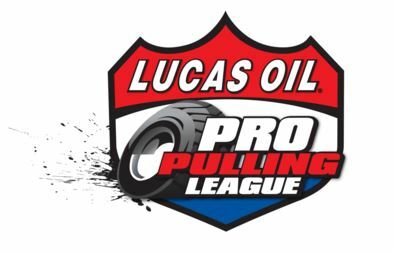 Lucas Oil Tractor Pulling is among the highest rated league for this sport. They have plenty of events that will be taking place during the month of May. Spring Nationals is going to happen on June 11 Clinton County Fairgrounds Wilmington, OH. Mackville Nationals will take place on June 17 and 18 in St. Edwards Parish Mackville, WI. These are some of the major events that are being sponsored by the Lucas Oil League. There will be others as well. National Tractor Pulling Events throughout the U.S.
2016 National Tractor Pulling Championships will run from August 18 to the 21. This event is scheduled to take place in Bowling Green, Ohio. Pro Stock Tractors venue and the Enderle Pull-Off Highlights. Light Super Stock Tractor events will also be featured. Super Stock Diesel Tractors from Chapel Hill, TN will take place in July. Other tractor pulling events that will happen during this month in Chapel Hill includes the Minis, Two-Wheel Drive Truck competitions and Four-Wheel drive trucking events. Tomah, Wisconsin is also another popular tractor pulling destination. Events are scheduled to take place here in May and early June. Most of the major tractor pulling competitions have been covered here but there are other main events that are scheduled with league such as the Power Pulling Productions, LLC, Outlaw Truck and Tractor Pullers Association and the National Micro Mini Tractor Pullers Association. It is the world heaviest motor sport competition. It is also known as power pulling. It is very popular in United States, Denmark, Australia, Brazil and Netherlands. It is called heavy sport because it determines the strongest machine, best driver and not the speed. They tend to look at the distance pulled, and come up with a winner. The tractor minimal size is 30 ft. wide and 320 ft. long. It looks more or less as a farm tractor but the difference is the modified engine, to withstand many challenges as possible. The engines range from jet turbines to aircraft and industrial engine .The trucks can either be two or four wheels. They naturally consume diesel and semis. The tractor tends to pull a heavy metal sled that contains weight that mechanically winch forward. Due to this physics the tractor tend to lose its momentum. This is the challenge, to be able to reach the end of the course when your tractor is losing balance. The tractor that pulls the sled the farthest distance is usually the winner, it is measured from the start mark to where the sled is. It is measured in inches. It is very rare if a tractor reaches the end of the course but in case it does it is called the ‘full pull’. In case there is a draw, the pull-off is what determines the winner. This motorized truck were put to use in 1929. The first events were held in Vaughansville, Missouri and Bowling Green, Ohio. This is why the National championships are held in Bowling Green. It became a popular game in the 1950s and 1960s. At that time it had different rule games in different countries and states making the game confusing and in 1969 there were 8 state representatives who created a uniform rule book. Mother-nature as the flawless backdrop, commemorating your wedding on an admirable Accredited Organic Farm is very appealing. Farm weddings have a rural feel and appealing country side encircling. It is a country retreat where guests can sit around and bite the best biotic Somerset fare. Devising a farm wedding can be a fun venture but it also can be questioning. Few things are admirable than a field wedding. Allowing guests to breathe in the rural air and take a rift from the hurry and ado makes a field wedding feel like a real departure. Plan your wedding about your village. When it comes to real field weddings, it’s all about the adjacency of produce and ready to use ingredients. All things can flow about those things. Serve a barbecue style reception with territorial flavors and up to date lunch sacks for an ideal laidback afternoon. Hand out small gifts that you make yourself or buy from local farmers. Furnish with fabric that suits your wedding colors. Make sure your pudding reflects the local gifts and the region’s most prudent crops. Do not overthink your centerpiece. At a farm wedding, nothing that does not grow close by be on your tables. Use decoration that mirrors the season and plants with where you are at. Sweet citrus shade zinnias make a charismatic farm to table centerpiece with mellow cherries in the base of the vase. During summer weddings, use single blossom with lots of verdure to create a lineup of translucent vases down a prolonged family style table. Keep your scene simple. This is not a subject that incorporates anxiety. Farm weddings commonly mean an entire time outdoors, strolling in the sunshine and praying that your skirt doesn’t bloom in the breeze. Make sure your party is clothed in a way that is cozy and relevant to the location. Don’t pick short, bulged dresses. Fetch for something straight. If your wedding is in the lawn, ascertain that your bridesmaid wear wedged shoes rather than stilettos. Find something uncomplicated in cotton for the flower girls since they would love a dress they can play in. If your marriage ceremony is in summer have your brides men wear seersucker suits. Wool is not a brilliant combo for a summer farm wedding. Find the appropriate farm for your wedding. Farm weddings are not barn weddings. From under gigantic trees to the middle of nowhere in the field, you can pick just about any scenario for your farm wedding. Choose one that mirrors your style and the state that you want to set at your wedding.